Sign up for a weekly surf camp to build your skills and have fun on the water this summer. Surf Stoke, Ocean Minded, Community! 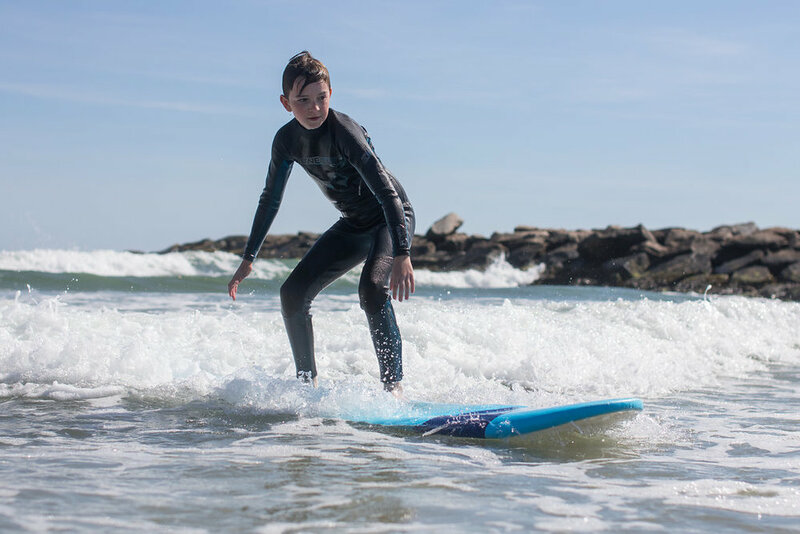 Sign up for a weekly surf camp today and learn to surf in RI. Surfing consecutively is beneficial in building the necessary skill set to boost one's learning curve. 48 hour cancellation policy per surfer per start date of series. Friday weather make up day if needed.